Round CZs in 18k yellow gold vermeil push back earrings. 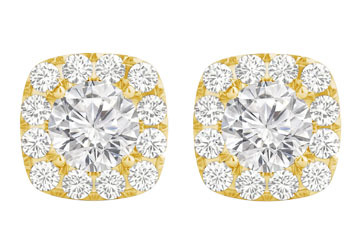 Brilliant cut prong set cubic zirconia add to the glitter. Thoughtful gifting for everyday wear. CZ April birthstone.3.00 CT TGW.